Since the release of last year’s Ugly Cherries, Hudson, NY duo PWR BTTM have experienced a meteoric rise that likely exceeded their own expectations. If you’re at all familiar with the band, it’s easy to see, and hear, why. Besides the fact that Ben Hopkins and Liv Bruce are both dexterous musicians with clear musical personalities and an undeniable gift for songwriting, they bring with them a space that embraces honesty and provides support. Their irreverent yet inclusive lyrics and tight, lively composition have earned them the attention of New York and the world at large. As they embark on a world tour, with thirty dates spread over five countries in less than two months, this enigmatic duo have defined a new measure of success, and they are only just getting started. Beginning the tour at favored local haunt Baby’s All Right, PWR BTTM was welcomed by a diverse and intoxicatingly eager crowd. The band, usually a duo but joined by a bassist who added welcome weight and depth to the live scenario, as well as a French horn player for a few numbers, took the stage with words of gratitude. They called for the audience to respect each other’s bodies and personal space before tearing into the opener, “West Texas.” It may seem like a hackneyed phrase, but where PWR BTTM is concerned, safety really is first. Of course there was room for levity. There were jokes about makeup tutorials (“This is my actual skin”) and lively, genuine banter (“I am being very sentimental tonight which is weird because I’m a hologram”). 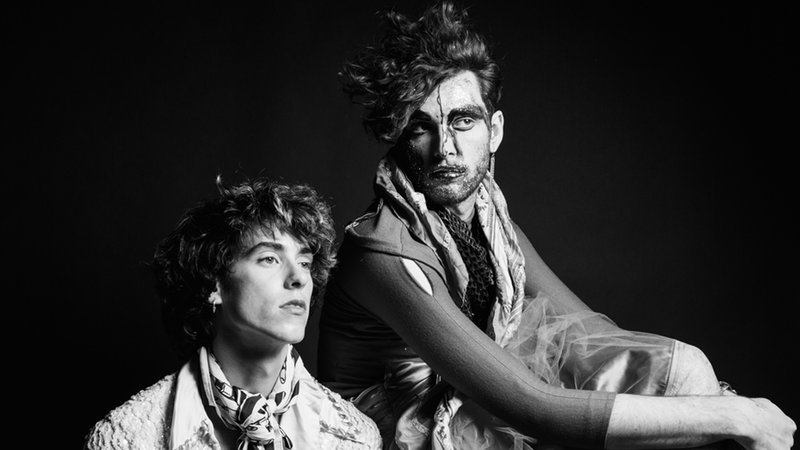 While the music is great, and finely represented on the band’s LP, the presence, and that space of safety and inclusivity that PWR BTTM seem to bring with them, is what truly makes them stand apart. A good portion of the set was made up of tunes from the band’s upcoming album, to be released on legendary record label Polyvinyl next year. The songs show growth and deliverance on the band’s musical and authoritarian potential. Without making some grandiose commentary on the state of music scenes, both here in New York and elsewhere, it is frankly a relief to see a band like PWR BTTM, whose sense of fun is equal to the encouragement they effortlessly offer. We, all of us, are lucky to have them.